The IBPS PO Preliminary examination 2017 is over for the first two days and aspirants were surprised to get many new pattern questions in almost all the sections. The most predominant section was English section and it was also seemed to be the most difficult one in view of the candidates. The new pattern questions can also be expected in the forthcoming days examinations too, so you should be aware of those questions and we are here to help you with this. There were no patterns alike in all the slots. Every slot there were some changes and no similarities were there between any slots and the questions were also difficult. You can check the review of the IBPS PO Preliminary Examination 2017 from our website and also don’t forget to check the questions asked in the exams. In the English section, three topics were asked but with minor tweaks in the pattern and they were entirely new and they have not been asked in the previous examinations in IBPS. 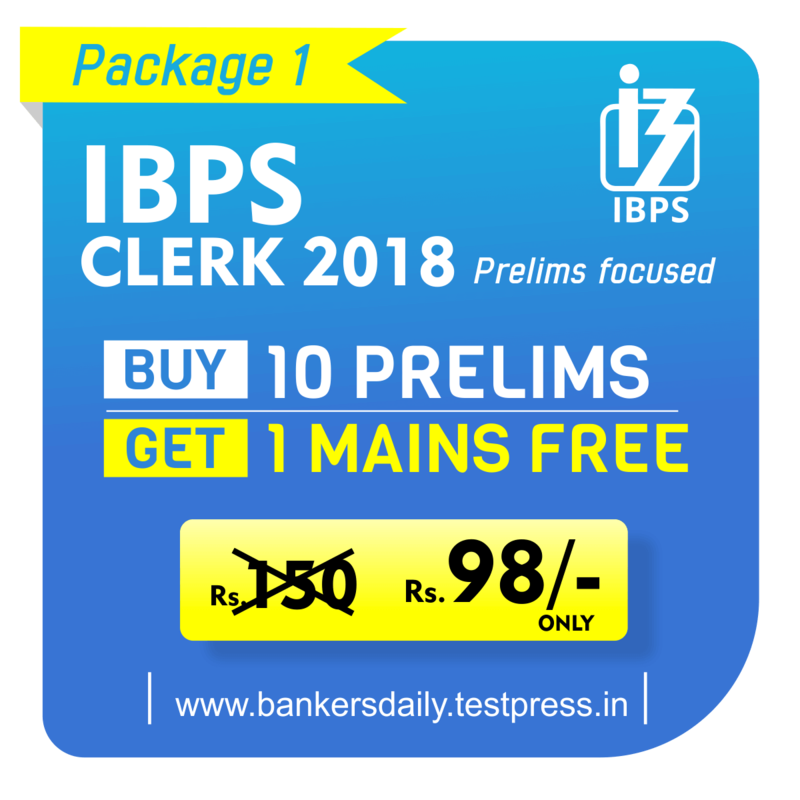 All questions pertained to the new pattern and sentence replacement , error spotting and Fill in the blanks were seemed to be the most difficult ones in the IBPS PO Preliminary examination that happened on 7th and 8th October 2017. As usual English was the difficult part in all the slots in the finished exams and reading comprehension has the same pattern like synonyms, antonyms, Title of the passage, inference from the passage and likewise questions and even the passage was longer and one needs to definitely read it at least twice to answer the questions other than synonyms and antonyms based ones. In the sentence replacement type questions many types were asked and to know the exact changes we will explain those with an example and also it’s types and for the error replacement too the questions were little changed and mostly the incorrect sentence will be the one to find out , but his time , we have to find the Grammatically correct sentences from the group of options. Directions : Read the given sentences carefully and find whether the given sentence is grammatically correct or not. Choose the sentence which is Grammatically correct as your option. If all the given sentences are grammatically correct choose ALL OF THE ABOVE and if none of the given sentence is grammatically correct choose NONE OF THE ABOVE as the given answer. Checking each sentence individually will give you the right answer and in this question (ii) is grammatically incorrect and so the correct answer for this will be option (B) as they grammatically correct. To score more in this section, you will definitely need to know the grammar rules and it is essential. The other type of Question asked was to find the one which does not contribute to the other sentences and to rearrange those sentence in a coherent manner. Directions : Read the given sentence which is split into parts carefully and find the one whether all the parts are contributing to the central theme of the sentence. If there is any part which doesn’t really contribute to the sentence, then remove that particular part and rearrange the given parts to from a coherent passage. If the given sentence is coherent and all the parts contribute to the theme of the sentence, then choose NO CHANGE REQUIRED. You have to choose the one which doesn’t contribute to the other parts and here in this question all the parts pertains to the theme and so the correct option is no change required. This requires more time to solve because finding the one which doesn’t suite the others is difficult an the more tougher job is to reorder the sentence in the correct order. (A) There are three main reasons that make interest rate benchmarks essential to the smooth functioning of the financial market. (B) They are used by a variety of agents, ranging from banks that provide credit to businesses and households to derivatives market makers. (C) Interest rate benchmarks play a key role in the financial system, the banking system and the economy. (D) First, as a reference in contracts indexed to variable interest rates: the use of reference rates to price financial contracts reduces their complexity and facilitates standardization. Here in this question remove the one which is irrelevant to the the central theme, as like rate of interest and market based loans were being discussed there and the one with discussing television sets deosn’t contribute to the main theme. So we should eliminate the last one and arrange the other and get the reordered sentence from the given option. For the above question, option (A) CABD is the correct one. Even the last one is easier and if the questions comes in this pattern, then it is difficult to pick out the odd one out and also time consuming to rearrange the ones. But if you could solve this, you can grab the marks easily and when comparing with error spotting, this will be easier if we read fast and this requires logical English thinking rather than grammatical ones. Here in this type, the given phase / sentence with the error has to be replaced with the one that is grammatically correct. This too requires the candidates to know the phrasal verbs and also grammatical rules to eliminate the faulty ones and to choose the correct ones. Directions : Read the given sentence carefully and not the one which is given in BOLD and if the given sentence / phrase is grammatically wrong , please select a option which is grammatically correct and can replace the one which is wrong. If the given phase / sentence is correct choose the option as NO CHANGE REQUIRED. Max Verstappen and Carlos Sainz were involved in the accident and both of them were given a grid penalty. In this question answer is option (B) and for the former one the answer is option (B). You can still expect unusual changes in the forthcoming days too but do remember everything is in one form or the other what you have learn and don not panic when some new pattern comes rather than fearing attend and analyze with confidence, you can gain more things. 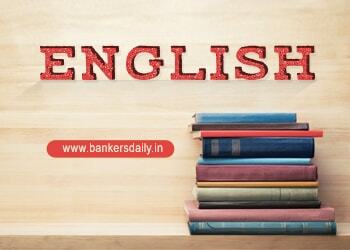 You can also expect the surprise elements, we hope this will help you to crack the English section and without fear. If you have come across any new pattern questions which we haven’t mentioned in this post, please mention it here in the comments section.